Electronic circuits, whether they're found in computers or more specialized equipment, require all of their components to operate properly. If any of the components contained within that circuit fail, it can have catastrophic consequences for any devices connected to that circuit. 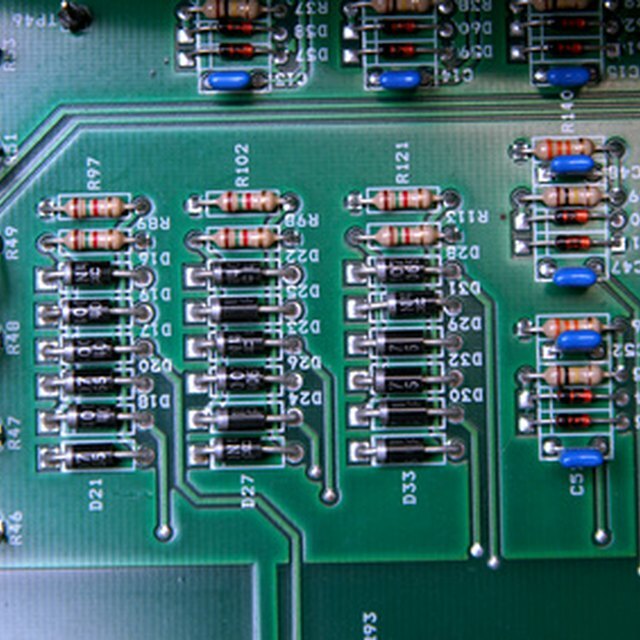 Failed active components — such as transistors, diodes and microchips — are often more difficult to diagnose than failed passive components like resistors, making circuit board troubleshooting a time-consuming and often frustrating process. If you suspect that a transistor in a circuit has failed, the transistor must be tested with a multimeter before you power the circuit up again. Transistors in electronic circuits do not fail often: as a result, when they do fail it can be difficult to diagnose the problem in the circuit. If you suspect that a transistor is causing an issue, you can take two different approaches to testing transistors in circuit with a multimeter, depending on the type of transistor. You will need to remove the component from the board first, which may require needle-nose pliers if the transistor is installed in a small space. Within an electronic circuit, active components like transistors behave differently than passive components like resistors. This is because active components are designed to be subjected to a range of voltages and to perform a variety of functions. 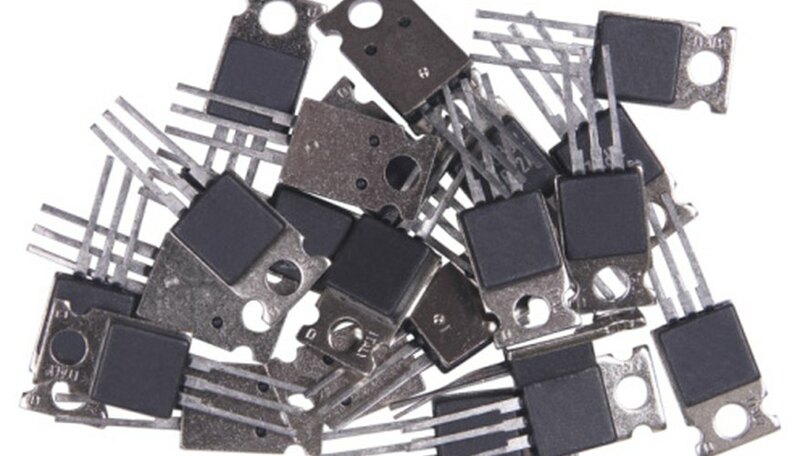 In the case of a transistor, the component is made to act as either a switch or an amplifier of electric current -- as a result, a transistor's failure can lead to electrical shorts and electrical spikes, which in certain environments can be catastrophically dangerous. However, this can also make bad transistor symptoms slightly easier to determine: if a circuit is failing to function properly due to either a shortage or excess of current, it is possible that a transistor has failed and should be tested. Potentially faulty transistors can be tested with a digital multimeter, but the type of transistor will determine the type of test used. If testing a Junction Field Effect Transistor, or JFET, you will need to use two 1000-Ohm resistors in addition to the multimeter. To begin, ensure that the circuit is disconnected from a power source, and then use a pair of needle-nose pliers to remove the transistor from the circuit. Next, twist one lead from the first resistor to the drain terminal on the transistor. Twist one lead from the second resistor to the source terminal on the transistor. Twist the free leads from both resistors together with the gate terminal on the transistor. Wait 30 seconds, and then remove the resistors from the transistor terminals. Turn the multimeter on and set the measurement scale to “Diode Test.” For an n-channel JFET, place the red multimeter probe on the transistor gate terminal, and place the black multimeter probe on the drain terminal. For a p-channel JFET, place the red multimeter probe on the drain terminal and place the black probe on the gate terminal. Check the multimeter display. If the multimeter displays a “Pass” rating, the JFET is working properly. If the multimeter displays a “Fail” rating, replace the JFET. If you need to test a bipolar junction transistor, you can follow similar steps -- but you will not need resistors. Turn on the multimeter and sent the measurement scale to “Diode Test.” For an NPN transistor, place the red multimeter probe on the transistor base terminal, and place the black probe on the collector terminal. For a PNP transistor, place the black multimeter probe on the base terminal, and place the red probe on the collector terminal. Check the multimeter display. If the multimeter displays a “Pass” rating, remove the multimeter probe from the collector, place it on the emitter terminal, and proceed to the next step. 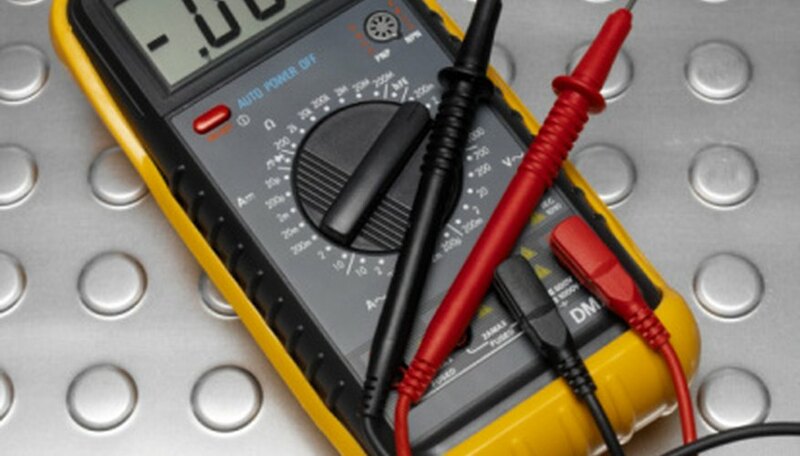 If the multimeter displays a “Fail” rating, remove the multimeter probes from both terminals and replace the transistor. David Sandoval holds a degree in microelectronics, and has several years of experience in the technology field. He has written articles for eHow, Answerbag, and wiseGEEK in the disciplines of chemistry, electronics, and physics. What Are the Applications of a Multimeter? Sandoval, David. "How to Diagnose a Circuit Board With a Bad Transistor." Sciencing, https://sciencing.com/diagnose-circuit-board-bad-transistor-8049011.html. 19 November 2018.